100% Cotton. 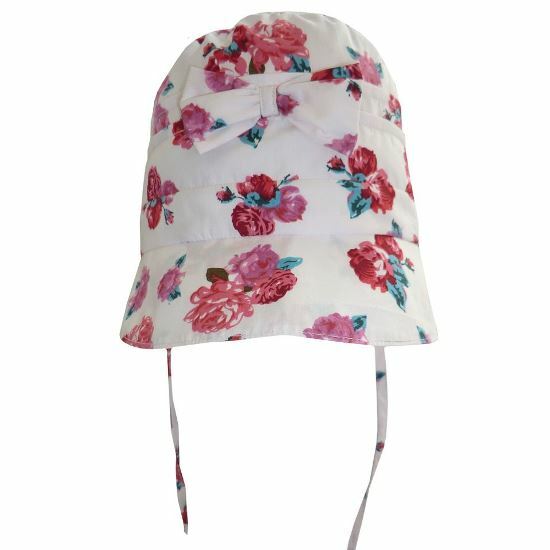 This beautoful Red Rose Floral sun bonnet will not only protect your little one's precious head and keep the sun out of her eyes but will look simply adorable at the same time. 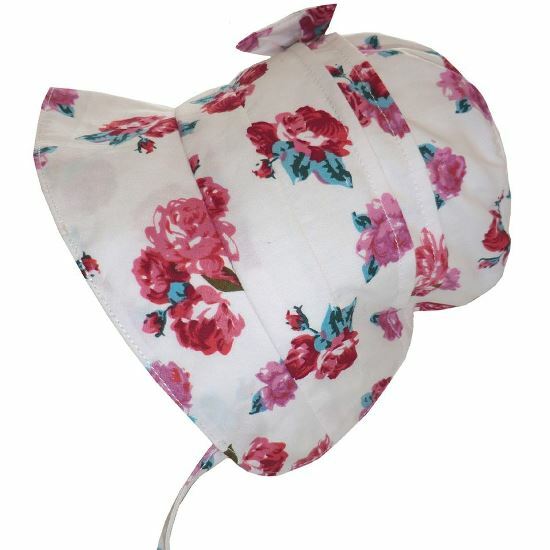 Also features a cute bow at the front.